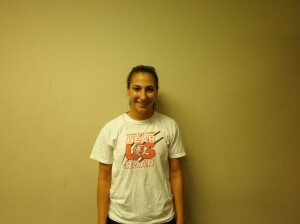 The 95th Member – AND 3RD EVER SOCCER FITNESS STAFF MEMBER – of the Soccer Fitness 20 MPH Club, Alessia successfully completed 2 separate, 4-second running bouts, at a top speed of exactly 20 miles per hour, on Tuesday June 26, 2012. Alessia plays centre midfield for the York Lions Women’s Varsity soccer team, and will be entering her third year this fall. We at Soccer Fitness would like to congratulate Alessia on her accomplishment, and are looking forward to helping her throughout her university soccer career.